Welcome to RKD Engineering Corp, Inc.
RKD Engineering develops a series of acid decapsulation tools which use the jet etching process. Our automated jet etcher decapsulation systems allow an individual to safely open a wide range of packaged semiconductor devices. We offer the most reliable failure analysis and sample preparation solutions for integrated circuits. 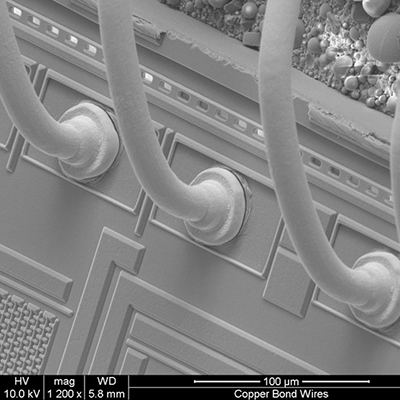 Our systems expose delicate silicon die surfaces and fragile bond wires made of Gold, Aluminum, Copper, and now Silver. RKD Engineering also provides precision mechanical precavition tools. 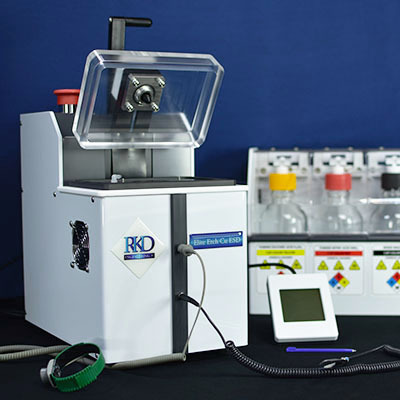 RKD Engineering continues to develop products for the evolving semiconductor industry to make sample preparation easier, faster, and more reliable. The complete RKD Engineering product line was available for demonstration at the ISTFA 2018 Symposium at the Phoenix Convention Center in Phoenix, Arizona! The RKD Engineering team was happy to showcase our suite of failure analysis tools. We look forward to your continued business in the year 2019! Shining Technology Corporation will be representing RKD Engineering at the 2018 Semicon Taiwan exhibition. The Mega Etch with ESD mitigation will be featured as well as the I53 injector, used to safely expose integrated circuits with silver internal wires. We hope to see you there! Radiant Advanced Devices will be showcasing RKD Engineering products at the International Symposium on the Physical and Failure Analysis of Integrated Circuits. Please join us for a demonstration of the Elite Etch series and more. RKD Engineering would like to thank Shining Technology and all the guests who visited our booth at Semicon SEA 2018. We look forward to hearing from you in the future! RKD Engineering is proud to unveil a new and updated website! Products and Services are available to view and order. This year at the ISTFA 2017 we were glad to meet so many engineers interested in our booth. See you all next year at Phoenix, Arizona! Please feel free to contact us with any remaining questions you have. With a shortage of precious metals, manufacturers are experimenting with new silver bond wire solutions. RKD is the only manufacturer equipped to expose silver wire technology without causing harm to the IC. Request a quote for the I53 Injector today. Do you need the space to decapsulate a chip on a large surface PCB? 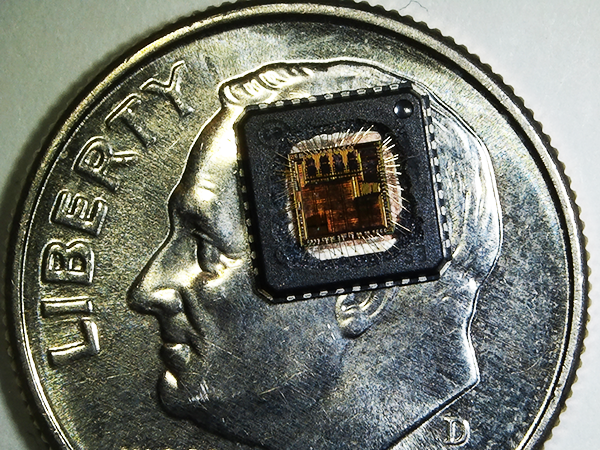 Do you want to power up your semiconductor even after it has been decapsulated? Check out our RKD Engineering Mega Etch. Available immediately on our product page. The Nano Mill II gives the option to custom make gaskets for etcher surface contact. In addition, the Nano Mill II can precavitate packages to minimize etching times and fluid usage. RKD Engineering specializes in acid decapsulation for semiconductor packages. With over 25 years of experience in the failure analysis and semiconductor industry, our mission is to provide the highest quality products for semiconductor failure analysis by using a patented acid delivery system. • The most reliable IC failure analysis and sample preparation systems. • Easy to use counterfeit detection systems and equipment packages. • Integrated chemical resistant fluid handling systems. Our solutions can be used to understand your supplier better. By using wet etch decapsulation, you can be sure that the semiconductor products you pay for are the products you receive. 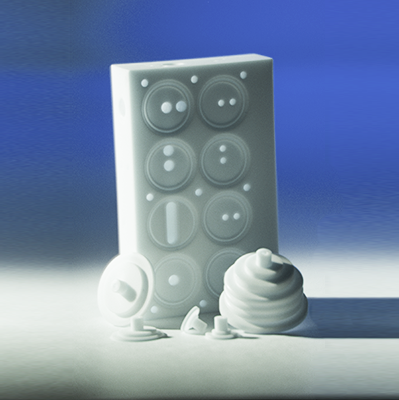 • Are the best quality materials used in the package? • Does the manufacturer identifier appear on the silicon die? • Has the semiconductor been stored or shipped safely? All these questions can be answered using an RKD Engineering decapsulation system. RKD Engineering designs and manufactures positive displacement diaphragm metering pumps and fluid handling systems. Our pumps have PTFE wetted parts and are pneumatically actuated to totally isolate the fluid path to the package. Our pumps are used in our own semiconductor failure analysis products to safely deliver fuming nitric acids, sulfuric acids, and organic solvents. The scalability of the RKD Engineering pump design allows integration into various fluid control systems into a single autonomous assembly. Our chemical fluid pumps are available for custom scientific and industrial applications.